Fruits were part of my diet growing up. My favorite was watermelons. I could not wait for summer to come along so I could sit on my balcony, on a hot summer evening, and bite my teeth in a juicy watermelon. It satisfied my cravings for any kind of sugar. Unbeknown to me, I was eating more sugar than I thought or even needed. Like me, most people enjoy eating fruit, and many health authorities recommend eating it as part of a balanced and healthy diet. However, I find fruit is not a healthful food today, and it is not needed at all in the diet. Fruit is mainly sugar and water with a low level of vital minerals. The potassium it contains is often somewhat toxic, and the balance of its minerals in not correct for most people. Fructose is a harmful sugar that puts on weight, feeds parasites in the body, and fruit is much too yin for regular use. This article discusses the controversial topic of fruit-eating. Most people enjoy eating fruit, and many health authorities recommend eating it as part of a balanced and healthy diet. However, I find fruit, except for a few olives, is not a healthful food today, and is not needed at all in the diet. Fruit is mainly sugar and water, with a small amount of minerals and other nutrients. The potassium and some of the phosphorus fruit contains today is often somewhat toxic, and the balance of its minerals is not correct for most people. Fructose found in most fruit is a very harmful sugar that puts on weight, feeds parasites in the body, and fruit is much too yin for regular use. ​This article discusses these and other aspects of eating fruit. Deranged digestion. Eating fruit seriously deranges the digestive system in many people. Sugar in all fruit feeds yeasts, parasites, and other harmful pathogens in the intestines. The digestive tract becomes more yin, more fragile and often more “leaky”. This affect the digestion and absorption of all nutrients. It always seems to aggravate or cause overgrowth of yeasts such as candida albicans. ​Fruit acids and the toxic potassium found in today’s fruit also irritate the intestines. Most fruit is also sprayed with pesticides, and the residues often also irritate the intestines, even with organically grown fruit. Fruit requires pesticides in many areas to grow it at all. Even the natural pesticides used on organic fruit are somewhat toxic. Weight gain. 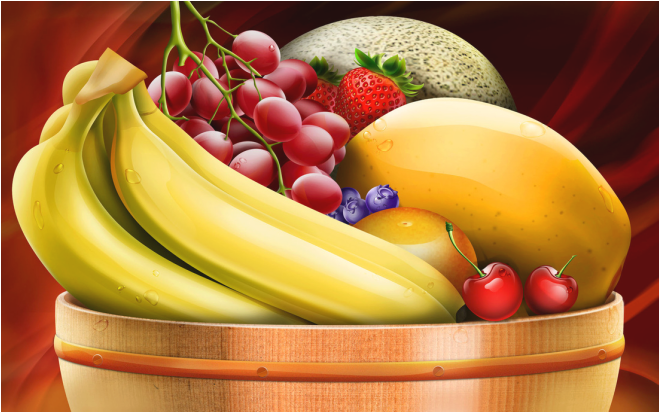 Many people believe that eating fruit will cause weight loss, and they are seriously disappointed. Fruit is not a low-calorie food. Also, eating sugar in any form causes weight gain by many mechanisms, such as stressing the insulin mechanism of the body, impairing the activity of the thyroid and adrenal glands, causing some water retention, andperhaps other mechanisms, as well. Yeast infestation from eating fruit can also cause bloating and weight gain. Parasitic infections. Eating fruit makes the digestive tract much more yin and toxic with chemicals, in some cases. This makes the gut much more susceptible to parasites, which are “cold” infective organisms that love sugar. Other reasons may be that fruit may carry some parasitic organisms if it is not washed properly and is eaten raw. Also, a damaged and somewhat delicate digestive tract cannot protect itself against some parasites that are found commonly in some foods and water supplies. Mental/emotional symptoms. These are very common and include anxiety, depression, irritability, and even panic attacks. We know this because when a person who is eating a lot of fruit and having any of these symptoms stops eating fruit, often these symptoms vanish within a few days to a few weeks. If a person has eaten fruit for a long time, symptoms may take longer to reverse. The cause of the symptoms can be the upsetting effects of a high-sugar diet, or perhaps the effects of candida albicans infection, which produces alcohol and acetaldehyde in the body. Loss of mental acuity. This symptom, also called brain fog, is very common in those who eat a lot of fruit and sometimes seen in those who eat any fruit at all. It is often due to yeast overgrowth in the brain. Low iodine may also play a role, or perhaps low levels of some of the B-complex vitamins. Taking supplements of these nutrients may help, but frequently they are not enough to stop the progress of this mental degeneration that is very sad to observe. A shorter lifespan. In my experience, fruitarians shorten their lives, often significantly. Interestingly, they may live apparently healthfully for years, but suddenly their health declines and they die quickly at an earlier age than most other people. I do not know the exact cause, but it may have to do with depletion of some vital nutrient or the accumulation of a toxic substance due to fruit-eating. Eating food containing sugars also causes glycation, a toxic process that destroys the body eventually. 1. Fruit is One of the Most YIN Foods One Can Eat. In the Macrobiotic conception of yin and yang, fruit is an extremely yin food. Yin refers to certain qualities such as cold, expanded, and sweet-tasting or sugary. Fruit also grows above ground and often up in the air, another quality associated with yin. In botanical terms, fruits are expanded ovaries of plants. This “body part” appears to make them even more yin. ( Dr. Wilson refers to copper overload as a Yin disease, as copper is a female element). a) Most people’s bodies today are already extremely yin. Eating more yin food tends to unbalance their bodies even more. This tends to cause more weakness and illness in the body, even though fruit is a source of certain vitamins and other nutrients. b) This is even more important if a person is a slow oxidizer (even more yin), if a person is ill (also more yin) or if the person eats large amounts of fruit. Eating more of a yin food tends to make the body even more yin. c) Yin foods, or anything that makes the body more yin, appears to impair mental and spiritual development. d) Tropical fruits are even more yin, and thus the worst from this perspective. They include common fruits such as bananas, pineapple, coconut in all forms and preparations, dates, figs, papaya, citrus fruits and others. It also includes the tropical fruit drinks such as noni, goji, nopal, acai and others (see Tropical Fruit Drinks for more on this subject). e) Eating anything raw is even more yin, and fruit is often eaten in the uncooked state. f) Fruit juice is even more yin. It is more concentrated, contains much more sugar and less fiber to buffer the acids and sugars in the fruit. g) For much more on this serious problem with fruit, read Yin Disease on this website. 2. Fruit upsets the blood sugar level and causes excessive insulin release. The higher sugar content of almost all fruit causes this reaction. This adds stress to the body, can cause weight gain or impair weight loss, and causes other imbalances deep inside the cells. 3. Fruit-eating often contributes to yeast overgrowth. Most people, even those who do not eat much fruit, already have an overgrowth of intestinal yeast such as candida albicans and others. This is due to toxic metal poisoning, and especially copper imbalance. Other mineral imbalances may also contribute, as does overeating on carbohydrate foods. The high sugar content of most fruit worsens this important condition. The yin nature of fruit also tends to worsen all fungal infections because fungus and yeast conditions are yin infections. That is, they tend to be cold and parasitic in nature. For more on this subject, read Candida Albicans Infections and Parasites on this website. 4. Fruit is a carbohydrate food, and most people are overeating on carbs already. 5. Fruit is dehydrates the body. This may seem very strange. Some health authorities even tell their followers that the water in fruits is “naturally distilled” and that one does not need to drink other water. 6. Fruit seems to send the body's energy in an outward and upward direction. This is a very subtle problem that is related to the yin quality of fruit, and also perhaps with its sugar content. Downward moving energy is healthy and life-giving, while upward moving energy and outward-moving energy is not as healthful. For more on this, read Downward-moving Energy And Healing. 7. Fruit is quite harmful for babies and children, as it enhances the oxidation rate in the short term but slows it later. This is a harmful stimulatory effect. Sugary foods of any kind tend to speed up the oxidation rate in the short term. This is due to its low fat content and higher sugar content. This is particularly harmful for younger children, whose oxidation rate is already too fast. For this reason, please do not give babies and children ANY fruit or fruit juices, or for that matter, any sweets at all. ﻿T﻿his is hard for many parents, since children often love sweets. However, it will help your child’s health immensely if you keep them away from all sweet foods, including fruit and fruit juices of all kinds. This is very important for children. Some people may respond to the above by saying that milk is sweet, and milk is good for babies. This is true. However, milk also contains a lot of fat and protein, too. This counteracts some of the yin and the other effects of the milk sugar. Also, milk sugar or lactose is a disaccharide and is therefore burned or utilized more slowly than fructose or glucose found in fruit. A. Fruit acids. Textbooks of nutrition contend that even though fruit contains some mild acids, the mineral content of the fruit eventually causes an alkaline reaction in the body. However, we find that this is no longer the case because of the genetic modification of fruit and its lower mineral content, in general. As a result, the acids in the fruit can give many fruits an overall acidic reaction, which is not healthful at all. This applies particularly to acidic fruits such as citrus, which is often picked unripe and never ripens properly. However, it applies to other fruits, as well. C. Imbalanced minerals in most fruit. The mineral content of fruit is not optimum for our bodies. Today, this is due in part to the use of superphosphate fertilizers used on most farms, including organic fruit orchards. The mineral content seems to cause unpleasant reactions and deficiencies of zinc, in particular, especially if one eats a lot of it. It does not seem to matter if the fruit is organically grown. More on this topic is found in the article entitled The Acid-Alkaline Balance. 9. Fructose, a prominent sugar in fruit, is one of the worst sugars to consume. Fructose does not directly raise the blood sugar as fast as glucose, for example. Instead, it is sent directly to the liver, where it should be converted to glucose. However, most people cannot process it very well and it can instead be converted to triglycerides and other fats. This is related to obesity, in some cases. 10. Fruit-eating is often damaging to the enamel of the teeth. Fruit acids can damage the dentin or outside layer of the teeth. This is well known by some dentists, and is another reason be careful with eating fruit. The worst offenders are the acid fruits, such as citrus – oranges, tangerines, grapefruit, lemons, and limes. 11. Fruit is often sprayed with pesticides, even if labeled organic. In order for fruit to grow in most areas, particularly some parts of the United States, it needs to be sprayed. Even if fruit is labeled organic, it is often laced with some pesticides and insecticides, even if they are natural ones. Many of them, even the natural sprays, add more toxins to the fruit. Also, even organically grown fruit can suffer from the residues of pesticides and other chemicals that had formerly been sprayed on the fruit, or small quantities that somehow find their way into the fruit. Because fruit is so yin, it may actually pick up more of some toxic metals that are less yin such as lead and some chemicals. 12. Genetic Modification and Hybridization. Fruit today is not the same as it was 100 years ago. Modern fruit is often hybridized and genetically modified. Few people realize this unless, perhaps, you have an old crab apple tree where the fruit was small and it was not as sweet as it is today. 13. Fruit seems to tire out the body. I am not sure why it is so, but eating fruit seems to have an irritating quality for many people. Perhaps this is due to upsetting the yin and yang balance, or just its higher sugar content. 14. Fruit is rich in potassium but it appears from a hair mineral analysis to be a toxic form of potassium. I say this because people who eat a lot of fruit, when placed on a nutritional balancing program, often begin to eliminate a biounavailable form of potassium. When it is gone, the person often begins to feel much better. This potassium compound may also interfere with the absorption and utilization of other important trace minerals in the fruit. Although fruit-eating is the main cause of an accumulation of toxic potassium, there are other causes of toxic potassium. For more, please read Toxic Potassium on this website. 15. Cleanliness can be a problem with some fruit. Fruit may be picked by hand by workers whose cleanliness is not always the best. The surface of the fruit always contains bacteria, viruses and other micro-organisms. If it is not washed thoroughly, eating it can cause hepatitis, parasites and other subtle infections. If you must eat fruit, always wash it carefully and never eat it right from the store or even from a tree, without washing it carefully. Also, do not leave fruit sitting out on the kitchen counter overnight and then eat it without washing it again. Fruit attracts flies, mites, ticks and other tiny insects very quickly that also infect the fruit with disease. All peppers (red, green, and hot chile peppers). Others include okra, cucumbers, eggplant, olives, and peas. Recommendations. Peas are not too yin and are excellent foods. Olives and okra are okay, though I don’t recommend eating them too often. Olive oil is fine. Winter squashes are not too yin such as spaghetti squash, butternut squash and acorn squash. Summer squashes (zucchini, sunburst or others) are more yin, so they are not recommended at all. I suggest avoiding all of the nightshade family vegetables. 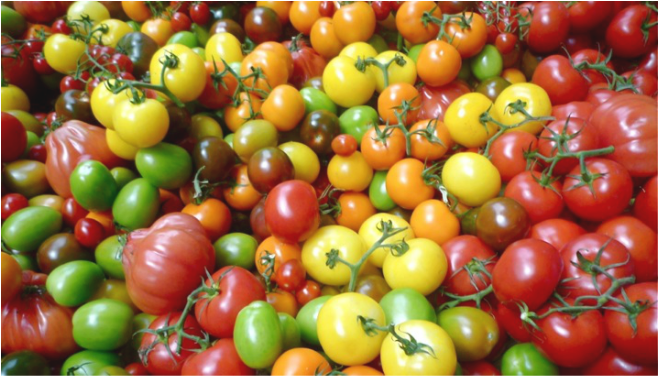 These include all tomatoes, white and red potatoes, peppers of all kinds, and eggplant. These foods are all quite yin, and they contain a toxin called solanin that is irritating and inflammatory. ​When the body is out of balance or ill, food cravings are common. These slowly disappear with a nutritional balancing program. Sometimes the cause is low protein or low fat in the diet. This is common with vegetarians, for example, who do not eat enough meat or eggs. Other reasons are low levels of zinc, manganese or chromium, which is also very common. ​To reduce cravings for fruit, be sure to eat every few hours and be sure to include some animal protein and perhaps a little fat or oil with most meals, especially if you are in a fast oxidation state. 1. Fats are the one type of food that is best eaten in the raw state. Most are damaged when cooked, and especially when overcooked, such as with deep frying. It is true that all raw foods are somewhat more yin, but fats and oils are still best eaten raw or almost raw. 2. The best fats are generally those derived from animal sources. 3. The next best, for general use, are those oils from grains and beans. Cleanliness can be a problem with some fruit. Grains: (corn oil, wheat germ oil, rice germ oil or others). 4. Some fruit and seed oils are okay. These include olive oil, as explained above, along with some seed oils. Seed oils include sesame, sunflower, safflower, hempseed, and flaxseed oil. I would avoid the others, such as borage, primrose, and canola oils. 5. I do not recommend tropical fruit oils at all, although they may be nutritious. They seem to be somewhat toxic and are too yin. They include almond, macadamia, hazelnut, palm kernel, coconut, avocado and others. Many of them are sub-tropical, grow on trees up in the air, and are thus extremely yin. They are not recommended for regular use. A little, eaten on occasion, is probably fine. See below for more on coconut oil. ​Coconut oil, along with coconut milk or coconut water, is highly touted today due to its high content of lauric acid, a natural infection fighter. Coconut oil is also very high in MCT or medium chain triglygcerides. ​These appear to assist energy production in some diseases such as Alzheimer’s disease, and can help one gain weight easily if one is malnourished. However, coconut is a very tropical fruit that grows high up and is too yin to be a regular food in one’s diet. It may seem wonderful, but our experience is that it is somewhat toxic. So I would avoid all coconut products on a regular basis, though a little on occasion is fine. I am well aware that many health authorities suggest eating plenty of fruit. However, I do not agree with this policy. The only benefit is if it is a transition step as one gives up refined or “junk” foods such as white flour and white sugar. However, the sugar in the fruit can be just as bad or even worse than eating sucrose or corn syrup in junk foods!!! Fruit sugars and other chemicals in fruit are too yin and upset the body in many ways described above. Nutritional balancing is concerned with the optimum diet. As a result, my best recommendation is to not eat any fruit at all, with the exception of a few olives and olive oil. Also, avoid all fruit juices, even diluted ones, and avoid dried fruit as well. Fruit is not that nutritious, and in fact, it is mainly sugar and water, with some fiber and low levels of vital minerals. Additionally, the potassium it contains is definitely somewhat toxic. In spite of what some say, fruit is not needed in the diet at all. 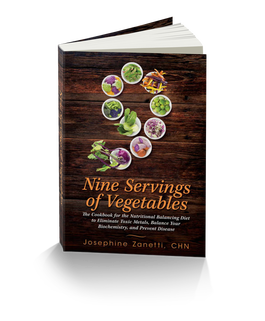 Cooked vegetables are actually far higher in phytonutrients of all kinds than are most fruits. Eating more than a very small amount of fruit will slow or stop progress on a nutritional balancing program and will interfere with mental development, in our experience, and is therefore very harmful.